The Dunwells stopped by KXCI's Studio 2A this spring for a live performance around one microphone, which displays the sweet harmonies of this UK group of brothers, cousins and a childhood friend. Check out the podcast of their interview with Jennie G. and performance of the songs Elizabeth, Only Me and I Could Be A King. 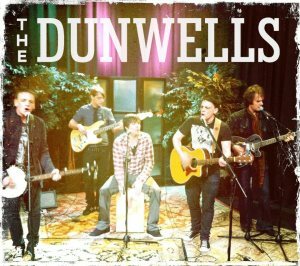 The Dunwells headline 2nd Saturday's Downtown playing the outdoor Scott Ave. Main Stage at Congress St., this Saturday September 8th at 9:15pm.